Judith McPherson is the 10-year-old heroine of this intriguing debut novel. Her mother died during her birth and her father remains grief stricken, isolating Judith from his life. The one thing they share is their devout fundamentalist Christian faith. Each night they read the Bible aloud and attend weekly meetings with the faithful. By day they walk the streets attempting to convert non-believers. Judith has no friends, no TV and no worldly books to occupy her. She passes the time, waiting for Armageddon, by building a replica of The Promised Land, her Land of Decoration. In the first chapter McCleen paints a picture of a lonely, poor girl trapped in an isolated fundamentalist household. Things begin to turn for Judith when, one Friday, she is threatened by the school bully Neil Lewis. She spends the weekend in fear of Monday: ‘But what is worse is that on Monday Neil Lewis will put my head down the toilet and if I die who will make me again.’ Terrified of the school bully Judith is desperate to avoid going back to school. As she begins her ‘miracles’, Judith also begins to talk to God. He talks back to her with blunt childlike ferocity, encouraging her to keep performing her miracles. Judith is sure she has divine power. It is here that McCleen makes the reader contemplate Judith’s mental health. Her approach to life’s difficulties is based on her fundamentalist upbringing and the assurance that God will save her. Judith’s father refuses to believe her miracles, but God does. As Judith continues to battle with Neil Lewis, her father’s life begins to parallel her own struggles. He has opted not to join the current workers strike and is marginalised for his stand. His fellow workers, most of them, turn a blind eye to his fundamentalist beliefs, but not to his refusal to join them in their stand. Judith, believing she now has the power to perform miracles under God’s guidance, devotes her days to fighting off the bullying advances of Neil Lewis as her father builds walls around them in an attempt to keep the outside world at bay. 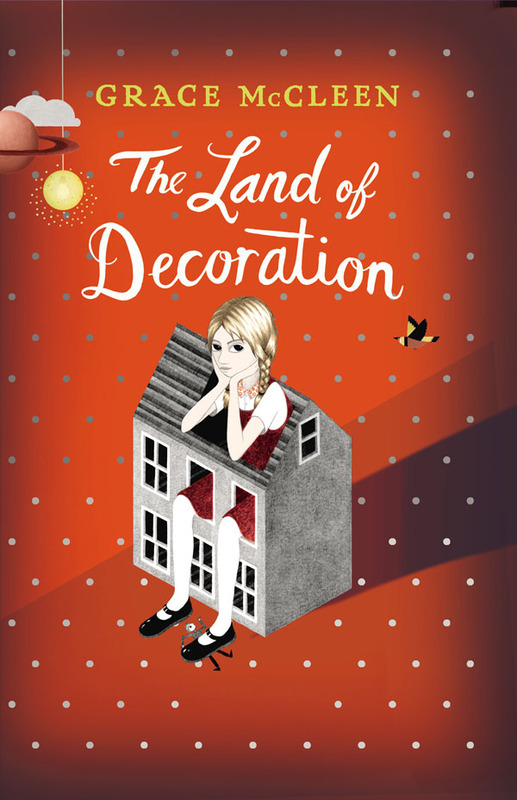 The Land of Decoration is a haunting look at the way faith can destroy lives. McCleen has successfully used the voice of a 10-year old girl to question faith, a Christian fundamentalist faith that McCleen was brought up to believe in. The elegance of the prose and the affecting style makes this a startling debut novel. An interesting new study claims that the book you read can make you more or less sensitive to the emotions of others.